Aircraft upsets remains the biggest cause of severe aviation accidents, so keeping or redeeming aircraft control is the number one priority for flight crew. Scandlearn brings a complete and animated Upset Prevention and Recovery Training course (UPRT) to the table. This includes real case studies and video clips to help flight crew manage any potentially dangerous situation. This includes real case studies and video clips to help flight crew manage any potentially dangerous situation. The European Aviation Safety Agency (EASA) and the International Air Transport Association (IATA) introduced new training requirements to avoid loss of aircraft control whatever the situation. As a result all European airlines and commercial business aircraft operators must implement the latest UPRT training requirements as soon as possible. 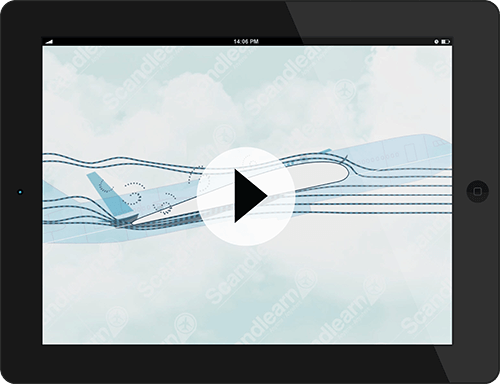 Scandlearn’s fully updated UPRT e-course acts as a perfect complement to simulator training to comply with the authorities’ training specifications.